Splendid Cinema concludes its 2013 season with the latest film by French satirist François Ozon, In the House, on 8 Decemeber. 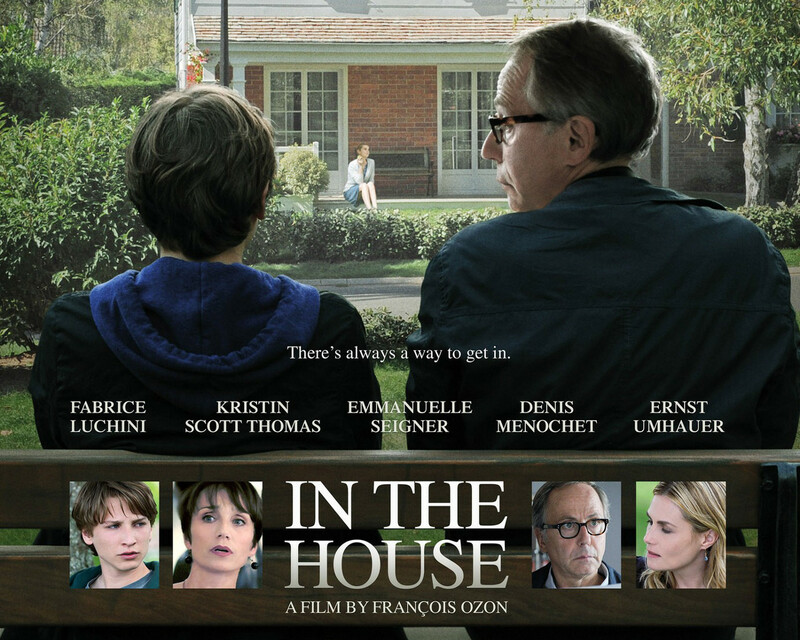 The follow up film to the international blockbuster Potishe, Ozon returns his caustic vision to the bourgoisie with In the House, in which a mild mannered high school teacher, Germaine (Potishe‘s Fabrice Luchini), encourages one of his creative writing students, Claude (Ernest Umhauer), to continue the serialized adventures he has been writing not realizing these stories are more fact than fiction. And Claude draws Germaine in to a very dangerous game of voyeurism and culpability. In the House engages in the guilty pleasures of voyeurism through its multi-layered storytelling and visual construction which includes a few nice references to the work of Alfred Hitchcock, it all culminating in the closing scene – an homage to Rear Window (1954). Thomas Vinterberg returns with his latest film The Hunt (2012), which will be screened at Splendid Cinema on the 24th November. The Hunt is a story about a man wrongly accused of child molestation. Played with a great skill and sensitivity by Mads Mikkelsen (TV‘s Hannibal), Lucas is a popular member of a tightly bound local community in rural Denmark. He is also a beloved kindergarten teacher whose life transforms after being called into the principal‘s office to find out he is suspected of child abuse. This suspicion quickly becomes a collective hysteria when a child‘s commentary is constantly repeated and re-imagined, which makes Lucas a social outcast and a threat within the once comforting and family-like community. One of the founding members of the minimalist film movement Dogme 95, director Vinterberg still demonstrates the best values of the movement – close focus on a story and performance – in The Hunt. The collaboration of Vinterberg and Mikkelsen alone guarantees a sharp, powerful and moving cinematic account on an uneasy subject matter, which is not to be missed. Critically acclaimed all over Europe, the film was nominated for BAFTA award in the category of the Best Film not in the English Language, winning the Best International Independent Film in British Independent Film Awards, and the Best Actor award for Mads Mikkelsen in Cannes. 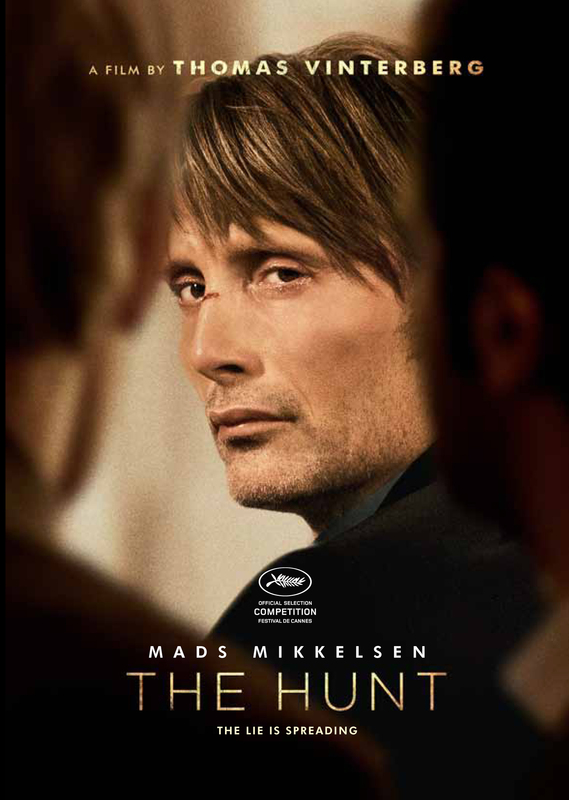 The Hunt (DK, 2012, Thomas Vinterberg) 115 min. 15 cert. Please note: Past technical problems at the WAW have now been mostly sorted. And Splendid Cinema can confirm that this screening is going ahead on 10 November. 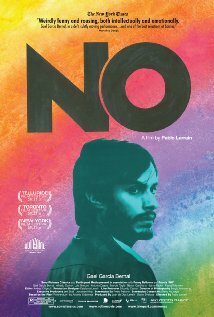 Chilean director Pablo Larraín returns with his latest film, the highly acclaimed No (2012), to Splendid Cinema on 10 November.